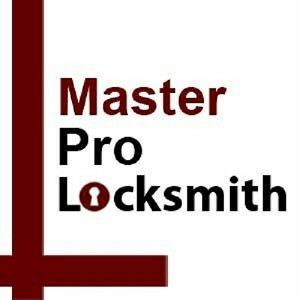 Master Pro Locksmith - If you need a team of professionals that know all about how to provide the best help that you need for your property, we want you to know one thing: with a quick call to Master Pro Locksmith. If you need a team of professionals that know all about how to provide the best help that you need for your property, we want you to know one thing: with a quick call to Master Pro Locksmith. If you need a team of professionals that know all about how to provide the best help that you need for your property, we want you to know one thing: with a quick call to Master Pro Locksmith, we can offer the best help that you need at an amazing rate. We are ready to offer the best help that you need the most, and no matter if you need our team to provide the best help that you require such as providing you with auto lock installations for your vehicle now or you need us to offer you with re-keying auto lock installations, know that you are going to be glad that you chose our team today. Our team can even provide you with window lock installations for your home such as offering you deadbolt installations for your home, know that you are going to be glad that you chose our experts today. We can even offer you with master key lock systems for your commercial property, and even if you need Master Pro Locksmith to provide you with security system installations, know that we are ready to provide the help that you seek today. Even if you require us to offer emergency security services for your property such as offering you with home lockouts for your property to offering you with combination lock changings, know that we are ready to provide the aid that you seek today. You are going to be glad that you chose our experts, so call Master Pro Locksmith now and learn more about us! Who should you call if you need residential, commercial or automotive security solutions? You might be tempted to go back to your dealership if your car key is stuck in the ignition. The need for a locksmith in Plainfield, IN can arise at any moment.